I haven't sent out in a while, but this one was a good opportunity. 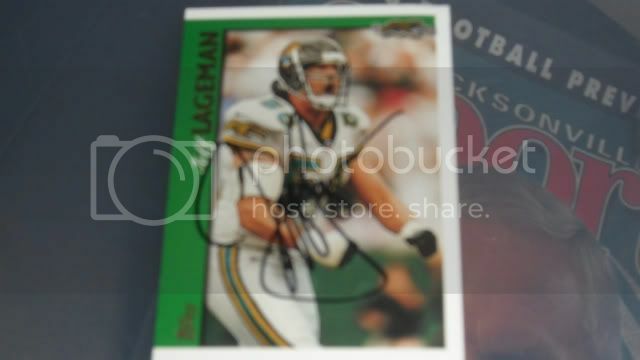 Jeff Lageman is a former Jaguars defensive end (first with the Jets), who now does radio for the Jaguars. A friend of mine who we tailgate with down there when we go was able to get this signed for me during a promotional event for the team a couple of weeks ago.